Rev. Chris Ponnet, Pastor, Chaplain St. Camillus Center. Facilitated by Rt. Rev. Alexei Smith, Ecumenical and Interreligious Officer for the Los Angeles Archdiocese. Words of Peace will be proclaimed from 6-7 interfaith traditions, music will be provided by three children’s choirs, all gathered will witness to peace as one. in collaboration with Military Families Speak Out and Orange County Peace Coalition. September 21-27 Week of fasting Fr. Chris Ponnet will lead a rotating liquid only fast beginning Sunday, September 21. 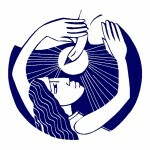 For the next year the San Diego area will gather on the first Saturday of the month, beginning on September 6, for a First Saturday 24 Hour Fast and Pray Synergy. All involved are intentionally fasting from/curbing the urge to judge, threaten, yell, point a finger, argue, burst into anger, think negatively, etc.